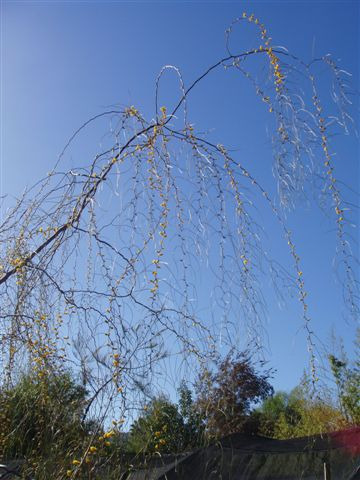 Ornamental weeping small tree 8-12' with a graceful habit. Prefers full sun but will grow in partial shade. Grown commercially for cut foliage. Beautiful grown against a wall to show up the light foliage. Excellent light screen and can be pruned for a more shrubby habit. Propagation Information: Seed germinates readily but is slow growing initially. Pour boiling water over seed and let soak overnight. Drench seed with a fungicide to prevent "Damping Off" after sowing.